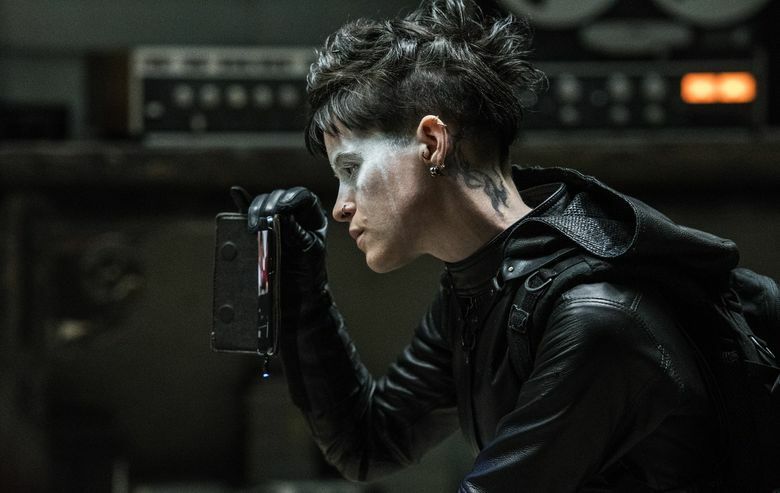 From 'Fantastic Beasts' to a 'Bohemian Rhapsody' biopic, a remake ("A Star Is Born") to a reboot ("The Girl in the Spider’s Web"), here are the movies you'll want to see this fall. The leaves are beginning to fall from the trees, the superheroes have (mostly) left the multiplexes, and it’s time to turn our attention to fall movies. 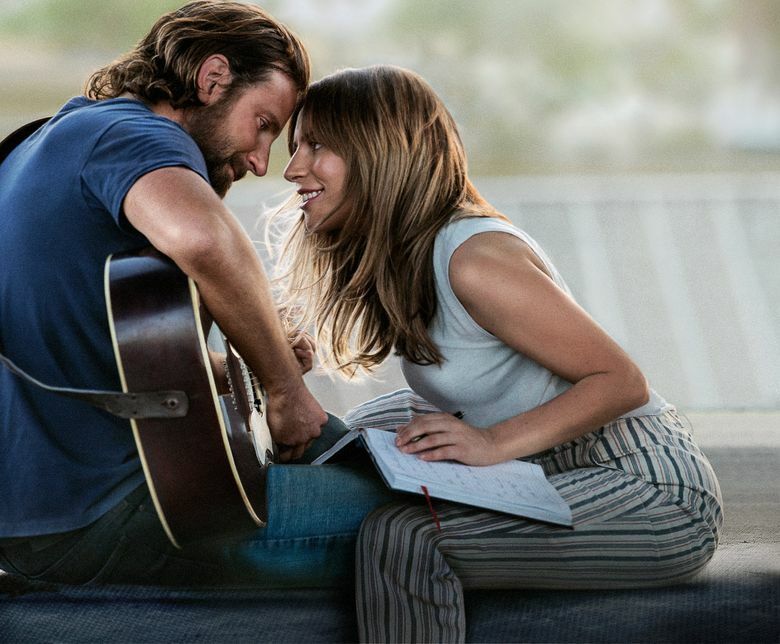 Here are eight of the season’s most anticipated films — each of which fits neatly into an expected fall-film category. Collect them all! But note, as always, that movie release dates are infinitely changeable, like the autumn wind. Every few decades, this story of a talented young singer/actor (depending on the version) and the alcoholic older male singer/actor who helps her rise to the top gets remade: with Janet Gaynor and Fredric March in 1937, Judy Garland and James Mason in 1954 (and if you haven’t watched Garland’s heart-wrenching version of “The Man That Got Away,” hie yourself to YouTube immediately), Barbra Streisand and Kris Kristofferson in 1976, and now Lady Gaga and Bradley Cooper, with Cooper also making his directing debut. Go and enjoy; by my calculations, it’ll be 2038 before there’ll be another one. 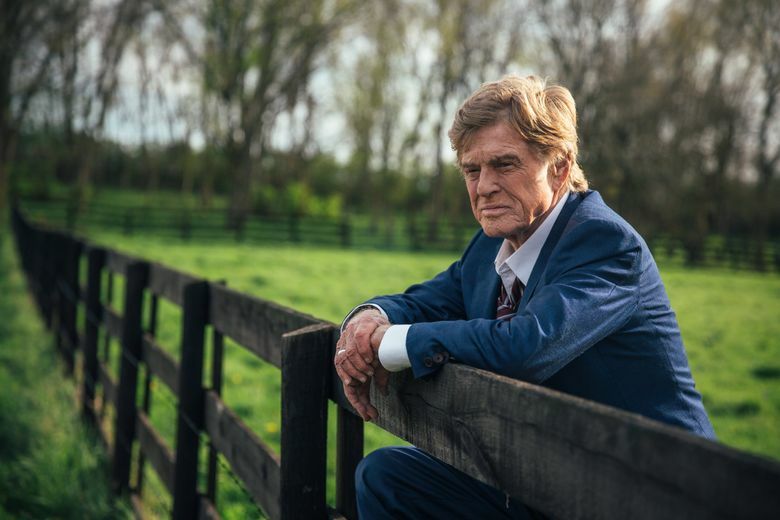 Robert Redford, whose screen career is longer than many of our lives (he made his debut in 1960), says that he’s retiring from acting after this film. At 82, maybe he means it, but I hope he doesn’t. At any rate, this one sounds like a great story on which to go out: Redford plays Forrest Tucker, a career criminal who was robbing banks in his Florida retirement community at the age of 79, and who at one point escaped from San Quentin State Prison via a handmade kayak. Casey Affleck, Sissy Spacek and Danny Glover co-star. Do you see a little silhouetto of a man? This story about the legendary rock band Queen — and its charismatic frontman Freddie Mercury — has been a long time coming. Nearly a decade ago, discussion of the film first came up, with Sacha Baron Cohen potentially starring as Mercury; eventually things came together with Rami Malek in the role. 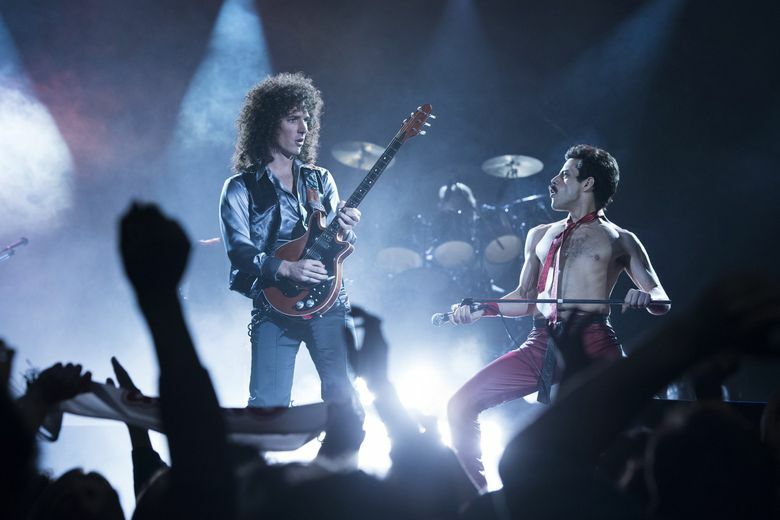 You won’t be hearing Malek sing though; Queen master tapes were used for the movie, with some help from sound-alike singer Marc Martel. Now this seems like a pretty nifty collaboration: director Steve McQueen (“12 Years a Slave,” “Hunger”), writer Gillian Flynn (“Gone Girl,” “Sharp Objects”), and star Viola Davis (“Fences,” “How to Get Away with Murder”), in a story (based on a 1983 novel by Lynda La Plante) about a mob widow who gathers her widowed friends to finish their husbands’ last job. I’m already buying the popcorn; aren’t you? Also starring: Michelle Rodriguez, Daniel Kaluuya, Elizabeth Debicki and Colin Farrell. The “Harry Potter” universe lives on; this time in a sequel to 2016’s “Fantastic Beasts and Where to Find Them.” Once again, J.K. Rowling wrote the screenplay for this tale of magizoologist Newt Scamander (Eddie Redmayne), in which we meet the young Albus Dumbledore (played by Jude Law). Johnny Depp plays the dark wizard Grindelwald, hellbent on pursuing his own agenda. For those who wish to feel old: The first “Harry Potter” book arrived in U.S. bookstores 20 years ago; the first movie was 17 years ago. You’re welcome. Speaking of franchises that have been around for a while: It’s been more than 40 years since boxer Rocky Balboa (Sylvester Stallone) first strutted on-screen, and he shows no signs of fading. (If he fades in this film, don’t blame me; I haven’t seen it yet.) 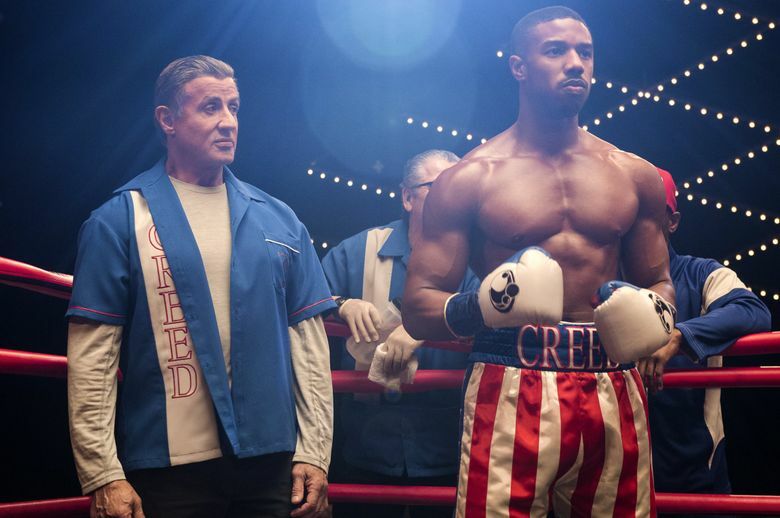 The “Rocky” series got a nice boost of energy three years ago, with Ryan Coogler’s irresistible “Creed” (starring Michael B. Jordan as Apollo Creed’s son Adonis). Jordan and Stallone both return for this go-round, joined by Tessa Thompson, Dolph Lundgren and Phylicia Rashad. 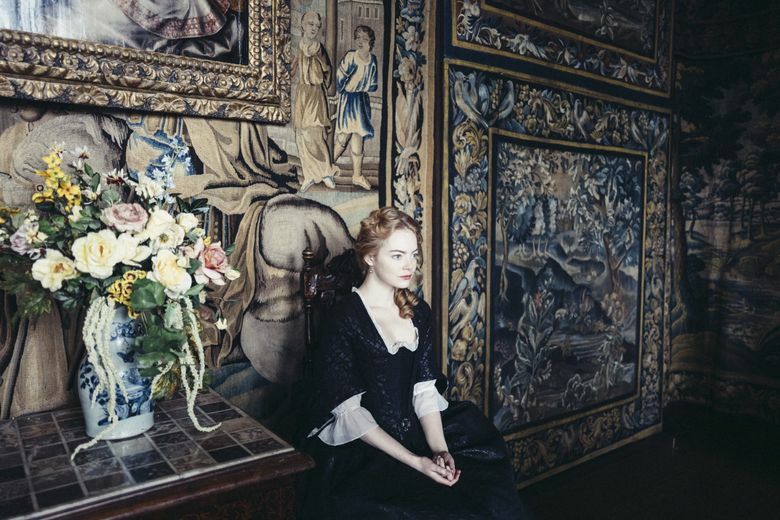 Set in the early 18th century, this film is a story of friendship and ambition, centering on the frail Queen Anne (Olivia Colman, soon to play Queen Elizabeth on “The Crown”), her friend Lady Sarah Churchill (Rachel Weisz), and aristocrat-turned-servant Abigail Masham (Emma Stone). All of that sounds potentially intriguing (as is the pedigree of director Yorgos Lanthimos — “The Lobster,” “The Killing of a Sacred Deer”), but I’ve got my eye on this one for the costumes. Sandy Powell, one of the finest costume designers working today (recent credits include “Carol,” “Cinderella,” “Wonderstruck” and the upcoming “Mary Poppins Returns”), is sure to deliver a feast of gowns, in painterly colors. Director Damien Chazelle follows up “La La Land” with “First Man” (Oct. 12), about Neil Armstrong (Ryan Gosling) and his famous 1969 walk on the moon; it got raves at its debut at the Venice Film Festival in August. Hugh Jackman plays Gary Hart in Jason Reitman’s “The Front Runner” (Nov. 21), about Hart’s ill-fated 1988 presidential run; Vera Farmiga and J.K. Simmons co-star. In other based-on-real-life stories: Rupert Everett plays Oscar Wilde and Colin Firth is his friend Reggie Turner in “The Happy Prince,” which Everett also directed and wrote; it’s about the great Irish-born writer’s tragic last days. Chloë Sevigny and Kristen Stewart star in “Lizzie” (Sept. 21), a new take on the notorious 1892 murders of the Borden family in Fall River, Massachusetts. Rosamund Pike plays war correspondent Marie Colvin in “A Private War” (Nov. 9), alongside Jamie Dornan and Stanley Tucci. And Oscar winner Mahershala Ali (“Moonlight”) plays classical pianist Don Shirley in “Green Book” (Nov. 21), about a real-life tour through the Deep South taken by the musician in 1962, accompanied by a driver (Viggo Mortensen) who became a friend. “Life Itself” (Sept. 21) is not the wonderful 2014 documentary about Roger Ebert, but a multigenerational love story, centered on a young couple (Oscar Isaac, Olivia Wilde). “This Is Us” creator Dan Fogelman wrote and directed. And local filmmaker Megan Griffiths’ moving family drama “Sadie,” seen earlier this year at the Seattle International Film Festival, comes to Seattle screens for a regular run Oct. 19. Angie Thomas’ best-selling YA novel “The Hate U Give” (Oct. 19), about a young black woman who witnesses the police shooting of a beloved friend, stars Amandla Stenberg. “Boy Erased” (Nov. 2), starring Lucas Hedges (“Manchester by the Sea”) and Nicole Kidman, is based on Garrard Conley’s memoir about his experiences as a teen in gay-conversion therapy. “Can You Ever Forgive Me?” (Oct. 19) is based on the memoir by celebrity biographer (and occasional forger) Lee Israel; Melissa McCarthy plays the lead role. Steve Carell and Timothée Chalamet (“Call Me By Your Name”) play father and son in “Beautiful Boy” (Oct. 12), based on journalist David Sheff and his son Nic Sheff’s memoirs about meth addiction and recovery. “Halloween” (Oct. 19), the horror franchise that won’t die no matter how many axes you swing at it, returns for a 40th-anniversary update, starring Jamie Lee Curtis as Laurie Strode. “Venom” (Oct. 5), a sort of horror-superhero hybrid, takes place in the Marvel Comics universe and stars Tom Hardy as the unlucky journalist who shares his body with an alien symbiote. On the suspense-thriller side of things, we have Anne Hathaway as a woman striking a noirish deal with her ex-husband (Matthew McConaughey) in “Serenity” (Oct. 19); Chris Hemsworth, Dakota Johnson and Jon Hamm among a group of strangers having a very dark night at a seedy Lake Tahoe hotel in “Bad Times at the El Royale” (Oct. 5); and Anna Kendrick as a blogger trying to figure out the mysterious disappearance of her best pal (Blake Lively) in “A Simple Favor” (Sept. 14). Lots of all-ages fare on the way, much of it seasonal: “Goosebumps 2: Haunted Halloween” (Oct. 12), based on the works of R.L. Stine; a new animated version of “How the Grinch Stole Christmas,” called simply “The Grinch” (Nov. 9) and featuring the plummy voice of Benedict Cumberbatch; and “The Nutcracker and the Four Realms” (Nov. 2) in which a young girl is transported into the world of the “Nutcracker” ballet. Families will also be drawn to “The House with a Clock in Its Walls” (Sept. 21), a fantasy about an orphan with a magical uncle (Jack Black); the animated “Smallfoot” (Sept. 28), about a yeti wondering if humans exist, and the return of Wreck-It Ralph in “Ralph Breaks the Internet” (Nov. 21). In the world of Non-Tiffany-Haddish-Comedies, we have the rom-com “Second Act,” in which Jennifer Lopez plays a big-box-store worker navigating the world of business. “Instant Family” (Nov. 16) has Mark Wahlberg and Rose Byrne adopting three children; and Rowan Atkinson returns as semi-super-spy Johnny English in “Johnny English Strikes Again” (Oct. 26) — a movie also featuring Emma Thompson, as all movies should.